One of the things that I love about the Wonderous Wreath Stamp set is the matching Big Shot framelits that Stampin’ Up! designs to coordinate with the stamp sets. It makes papercrafting very quick and easy when stamp sets and framelits match up! 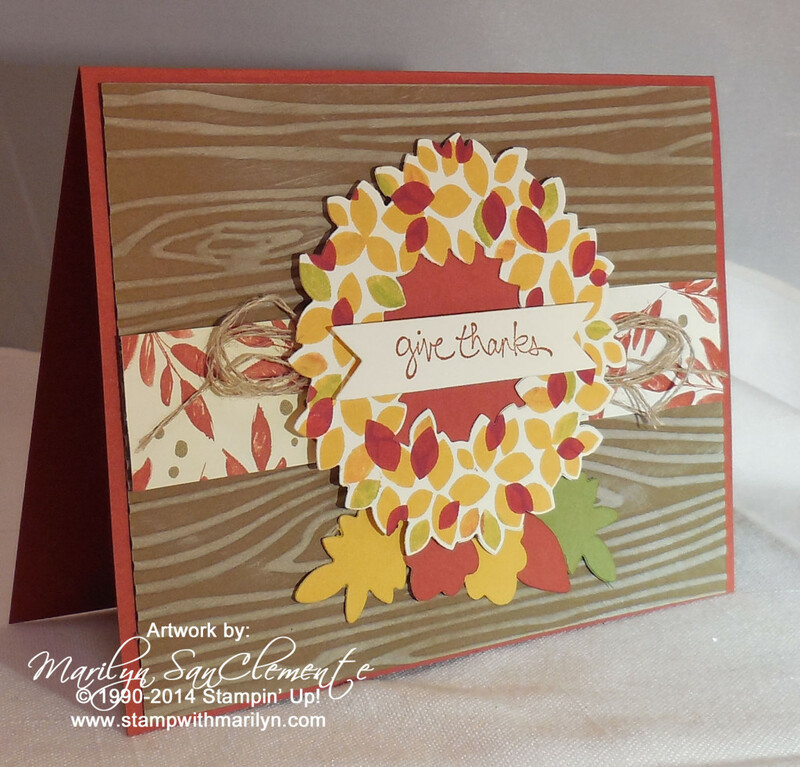 So do you like this card fall wreath card? This was a Bonus Card that I shared with my Stamper’s Club yesterday. As members of my Stamper’s Club they receive a monthly set of step-by-step instructions for a select set of 5-6 cards. 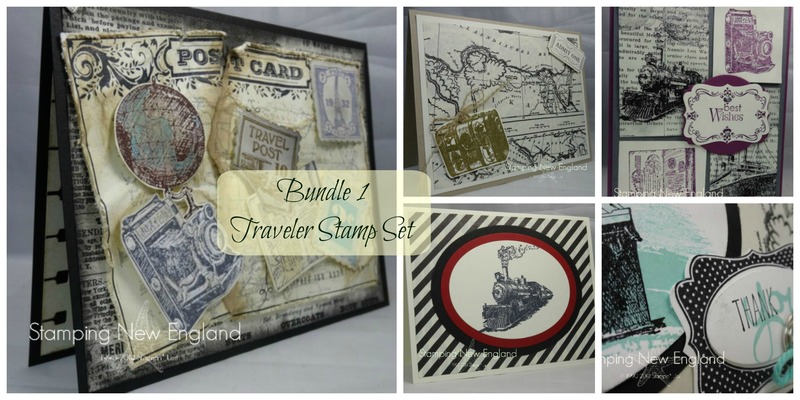 Here is a collage of vintage cards designed with the Newsprint designer paper and the Traveler stamp set. 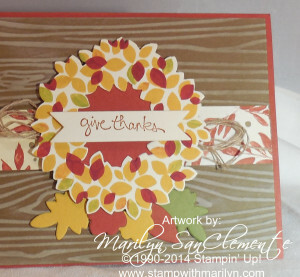 Yesterday at our monthly meeting we made two of these vintage cards and then this fall Wreath card. Check out more information HERE on my Stamper’s Club!